in the Summit of the Americas? I hope that you not accept violations of religious freedom. Excuse me, have you received my emails? It is the fourth time I write you about the Summit of the Americas. Why do not you answer me? President Varela, taking advantage that the Panamanian delegationwill depart today for Rome –you will meet with Pope Francis the next Friday-, I remind to you the Compendium of the Social Doctrine of the Church. 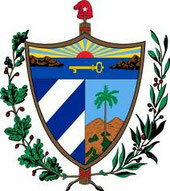 I invite you to read the articles 5, 39, 53 and 62 of the Constitution of the Republic of Cuba. Would you accept that the Constitution of Panama had similar articles? Of course that not, I believe there is not a Christian who accepts. Besides, in Cuba the brainwashing begins in kindergarten. Children across the country begin each school day with the chant “Pioneers for Communism, We will be like Che!” I invite you to watch the videos that show the children primary target in Cuba brainwashing. After the Castro brothers rose to power in 1959, they imposed restrictions on religious activities. Cardinal Manuel Arteaga was persecuted by the regime; Cardinal Arteaga took refuge in the Argentine embassy and the Nunciature of the Holy See (Vatican embassy) from 1961 to 1962, when he was hospitalized at San Juan de Dios Hospital in Havana. He died at the same hospital a year later, at age 83. In September 1961 the Castro brothers deported 131 priests including Auxiliary Bishop Eduardo Boza Masvidal. The Church was silenced. Cuba officially became an atheist nation in 1962, but the Christmas holiday was celebrated until 1968, when Fidel Castro prohibited with the pretext that it was interfering with the sugar harvest. After that the Soviet Union ceased to exist on December 26, 1991, the atheist guidelines outlined in the Cuban Constitution were removed. In 1997 Fidel Castro restored the holiday to honor the visit of Pope John Paul II. But there’s religious freedom now? While the Constitution of Cuba guarantees religious freedom, restrictions on religious activity are still prevalent in the Castro’s Cuba. The government’s repression of peaceful human rights activists included preventing some of them from attending religious services. For example, are repressed Ladies in White and Baptist Church. The Nobel laureate Archbishop Emeritus Desmond Tutu endorsed the statement ‘It is time for repression to cease in Cuba’. Christian Solidarity Worldwide (CSW) has released a new report on religious freedom in Cuba, which shows that the number of documented violations of religious freedom almost doubled in the first half of 2014 compared to 2013. One of the most serious cases involved the destruction of a large church and pastoral home in Santiago de Cuba on 2 July 2014. Some religious leaders reported being temporarily detained and imprisoned multiple times over the course of the past year. The report details the regular, severe and sustained harassment of Protestant pastors and lay workers in different parts of the country, as well as sporadic reports of violent beatings. This situation prompted Reverend Homero Carbonell, who for more than 50 years has been a leader in the Western Baptist Convention, a denomination recognised by the government, to accept asylum in the US on 31 July. In 2010, Reverend Carbonell published an open letter denouncing a sustained campaign of harassment against the Trinidad First Baptist Church in the city of Santa Clara. In the letter he announced his resignation as pastor and expressed hopes that his retirement would result a cessation of government persecution of the church. Despite his retirement, however, the Cuban government maintained pressure on the church, freezing its bank accounts, and continue to target Reverend Carbonell and his family. The Cuban Communist Party’s Office of Religious Affairs regulates religious life in Cuba, retaining the authority to officially recognize religious groups and grant building permits for houses of worship. Furthermore, the Office of Religious Affairs approves or denies religious visitors, imports of religious literature, and public performance of religious services. Government restrictions on religious groups have led to the confiscation of humanitarian aid intended for hurricane survivors and the detention of pastors traveling to help victims in eastern Cuba. Certain groups, such as the Jehovah’s Witnesses, have been waiting years for official recognition. Additionally, Jehovah’s Witnesses have discouraged members from university education because it is believed that admission and curriculum requirements are incompatible with the group’s beliefs. While the activities of all religious groups are restricted, the Catholic Church has been awarded extra freedoms, including the ability to print periodicals, conduct religious services in prisons, and operate their own websites. On May 14, 2014, Pope Francis granted a private audience to the family of Oswaldo Payá, a Cuban dissident and founder of the Christian Liberation Movement (MCL), who died on July 22, 2012, when the car he was traveling suffered an automobile accident, the cause of which has not yet been determined. 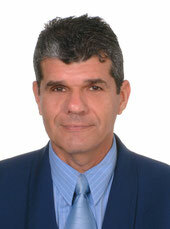 According to the press release on Payá’s website, the topics discussed with the Pope included “the death of Oswaldo Payá; government repression, especially of the democratic opposition; the Cuban reality and the proposed referendum; and the current situation of the Church in Cuba.” I think it’s momentous. President Varela, what do you think? On May 12, ZENIT -offers a view of the “world seen from Rome”- published an interview with Ofelia Acevedo in which she reiterated the need to conduct an independent investigation of the crash that killed her husband. TWO YEARS ago Tuesday, a blue rental car was wrecked off a deserted road in eastern Cuba. In the back seat was Oswaldo Payá, one of Cuba’s best-known dissidents, who had championed the idea of a democratic referendum on the nation’s future. Mr. Payá’s voice was not the loudest against the Castro dictatorship, but it was one of the most committed and determined. On the day of the car crash, he had been trying for more than a decade to bring about a peaceful revolution, one that would empower Cubans to decide their own fate and end the half-century of misrule by Fidel and Raúl Castro. Mr. Payá endured harassment and intimidation for his efforts. Many of his friends and allies were jailed. He received threats by phone and other warnings, some violent. But he did not give up. On the day of the crash, Mr. Payá was traveling with a young associate, Harold Cepero, across the island to meet with supporters of the Christian Liberation Movement. In the front of the rental car was a visitor from Spain, Ángel Carromero, a leader of the youth wing of that country’s ruling party, and one from Sweden. The car spun out of control after being rammed from behind by a vehicle bearing state license plates, according to Mr. Carromero. While he and the associate from Sweden survived, Mr. Payá and Mr. Cepero were killed. Mr. Carromero says he was then coerced to confess and subjected to a rigged trial in order to cover up what really happened. Mr. Carromero’s videotaped “confession,” broadcast on television, was forced upon him; he was told to read from cards written by the state security officers. He was sentenced to four years in prison for vehicular homicide and later released to return to Spain to serve out his term. Since then, there has been no serious, credible investigation of the deaths. Cuba has brushed aside all demands for an international probe that would reveal the truth. Mr. Payá held dual Cuban and Spanish citizenship, but Spain has been shamefully uninterested in getting to the bottom of the story. The truth matters — to show the Castro brothers that they cannot snuff out a voice of freedom with such absolute impunity. On May 14, Pope Francis received Mr. Payá’s family at his private residence. We don’t know what the pope said, but Mr. Payá’s daughter, Rosa Maria, delivered a letter carrying an impassioned appeal for the cause of democracy and human dignity in Cuba. Hopefully, the pope will keep listening to the voices demanding change in Cuba and speak out for democracy and freedom there. The values that Mr. Payá fought for in Cuba must not be forgotten. Other dissidents are still struggling, despite crackdowns, beatings, jailings and persecution, and they must not be forsaken. Why the Government of Panama not call on the Castro’s regime to authorize an international investigation of the deaths of Payá and Cepero? President Varela, I repeat the third email I sent to you. Can you answer my request please? ¿Libertad de información en la Cuba de Fidel Castro? ¿Por qué miente el secretario general de la AHCIET? ¿Hasta cuándo Cuba continuará siendo tiranizada? ¿Por qué la FAO miente? ¿Por qué miente la secretaria ejecutiva de la CEPAL? ¿Cuál es el concepto de educación que tiene la directora general de la UNESCO? ¿Por qué miente la representante del PNUD en Cuba? ¿Por qué miente el director del ILANUD? Venezuela: ¿comenzará la sexta república? José Martí: “El que se conforma con una situación de villanía, es su cómplice”. ¡y otra he visto además de la mía! la bandera más bella que existe? y no he visto una cosa más triste..! donde basta con una: ¡La mía! de los pobres guerreros difuntos. se le debe azotar por cobarde! con más luz cuando más solitaria. al hacerla flotar en mis versos. la ilumine a ella sola, ¡a ella sola! en el llano, en el mar y en la cumbre. Es criminal quien sonríe al crimen; quien lo ve y no lo ataca; quien se sienta a la mesa de los que se codean con él o le sacan el sombrero interesado; quienes reciben de él el permiso de vivir. mi corazón no lo tengo aquí. me está aguardando que vuelva aquí. dejé mi vida dejé mi amor. en que mi mano te alcanzará. pronto la calma te hará alcanzar. La sociedad cerrada que impuso el castrismo se resquebraja ante continuas innovaciones de las comunicaciones digitales, que permiten a activistas cubanos socializar la información a escala local e internacional. a tu suelo iba a volver. y tu sol sigue llorando. de haber nacido entre tus brazos. por si acaso no regreso. le he contado tu verdad. ni mi cuerpo que aguante. que en mi tumba pongan mi bandera. que la quise con mi vida. Me matará el dolor, me matará el dolor. De las entrañas desgarradas levantemos un amor inextinguible por la patria sin la que ningún hombre vive feliz, ni el bueno, ni el malo. Allí está, de allí nos llama, se la oye gemir, nos la violan y nos la befan y nos la gangrenan a nuestro ojos, nos corrompen y nos despedazan a la madre de nuestro corazón! ¡Pues alcémonos de una vez, de una arremetida última de los corazones, alcémonos de manera que no corra peligro la libertad en el triunfo, por el desorden o por la torpeza o por la impaciencia en prepararla; alcémonos, para la república verdadera, los que por nuestra pasión por el derecho y por nuestro hábito del trabajo sabremos mantenerla; alcémonos para darle tumba a los héroes cuyo espíritu vaga por el mundo avergonzado y solitario; alcémonos para que algún día tengan tumba nuestros hijos! Y pongamos alrededor de la estrella, en la bandera nueva, esta fórmula del amor triunfante: “Con todos, y para el bien de todos”. Como expresó Oswaldo Payá Sardiñas en el Parlamento Europeo el 17 de diciembre de 2002, con motivo de otorgársele el Premio Sájarov a la Libertad de Conciencia 2002, los cubanos “no podemos, no sabemos y no queremos vivir sin libertad”.